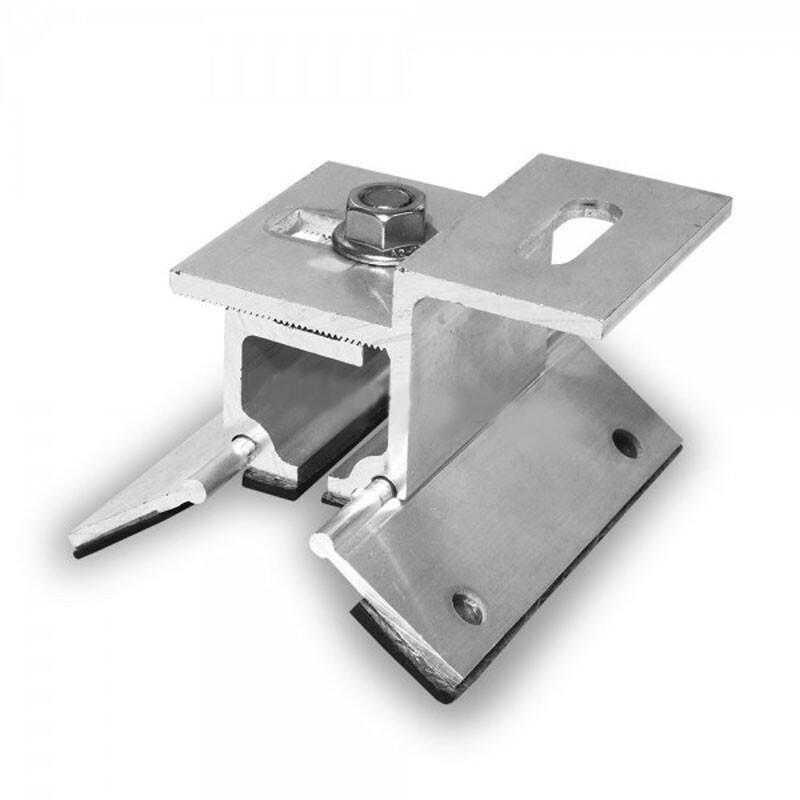 Adjustable fixing system for trapezoidal roof installation. 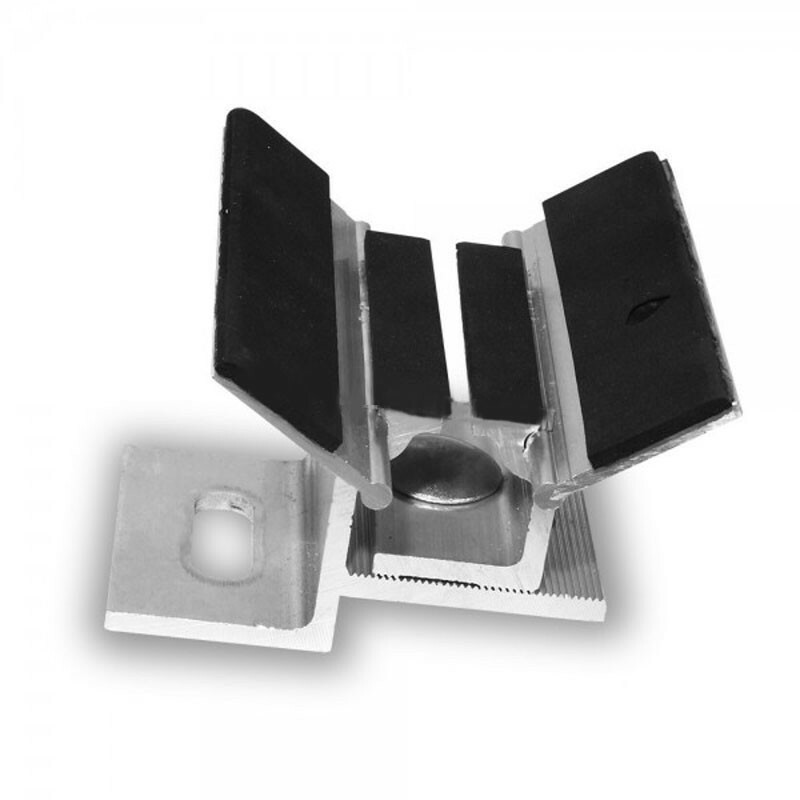 The Trapeze Flex allows the mounting of solar modules vertically, horizontally, as well as in an elevated position. Each Keystone Flex is adjustable according to the width and angle of the trapezoidal wave in which it is screwed. The Flex Trapeze part has a flexible lateral fin, preset according to the slope of the wave and the width of the raised bead. Once on the roof, self-tapping screws are used to attach the preset Keystone Flex via drilled holes; editing takes a few seconds. The screw holes are sealed with an EPDM seal.